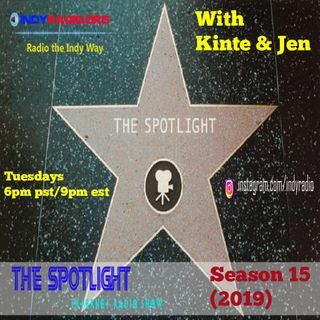 The Spotlight Season 14 is now hosted by Kinte K. Fergerson and J Corina Francis. This season premiered on January 26, 2018 with the return to indy radio Film maker William X Lee to discuss his new film “6 feet below”. The show will continue talk about news of the day plus have great guests. 249 Meosha Bean "Real Life" & "Solo"
Season 12 of the spotlight debuted on February 18, 2016 with ex co-host D.L. Watson (http://www.spreaker.com/user/indyradio/dlwatson) coming back to talk about the ol days plus what he has going on now. The hosts are now Kinte, Olaf, Kitty and new comer RPO. Co-host Shai G is no longer on the show. Also this season can be viewed as well as listened to.